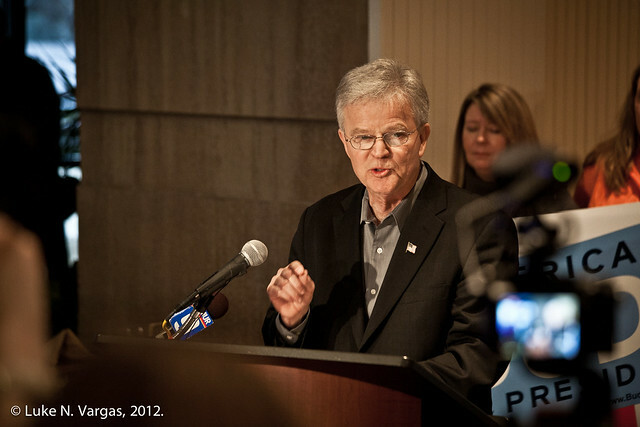 PETERBOROUGH, N.H. — Yesterday afternoon, Former Louisiana Governor Buddy Roemer held a press conference in Manchester to announce he would continue his presidential campaign despite being excluded from all nationally-televised debates thus far. 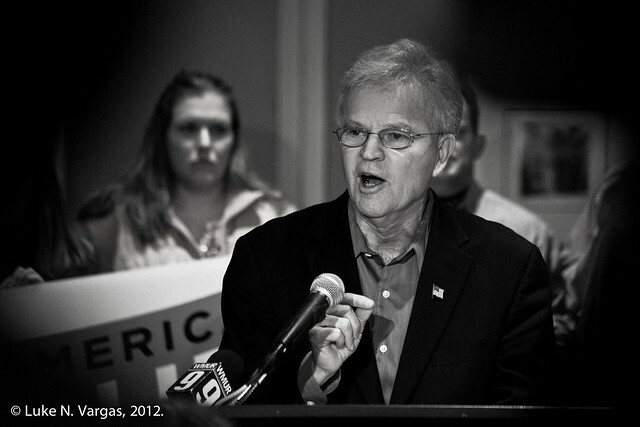 Governor Roemer took particular aim at the two debates occurring this weekend in New Hampshire, for which a 5% polling minimum was established as the threshold for participation. Despite garnering only 1% in nine successive polls and having held only eight events in the state going into this weekend, Texas Governor Rick Perry was allowed to debate. Roemer meanwhile, who moved to the state in July and has held nearly three-hundred events, polled as high as 3% in a recent PPP poll in recent weeks, but was ultimately shut out. The man has a right to be angry. In his remarks, Roemer bemoaned the undue influence of corporate money in politics, repeatedly noting this he does not accept donations in excess of $100, a position he claims has effectively blacklisted him in the eyes of corporate interests who pick and chose which candidates are given television airtime. 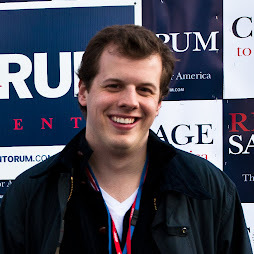 Roemer pointed out how his opponents flout campaign finance law by using Super Political Action Committees to raise unlimited amounts of money on their behalf and taking advantage of certain filing loopholes to prevent the names of financiers from being released until midway through the nominating process. These PAC's, Roemer noted, are predominantly headed by former chiefs of staff and campaign advisers for the various candidates, comprising the supposed lack of coordination between the official campaigns and the independent organizations. Listening to last night's debate and the preposterous tussle between Newt Gingrich and Mitt Romney over negative advertisements released by their PAC's, I can see why Buddy Roemer's presence on the debate stage would be so damning of his fellow Republicans: all of them utilize these unaccountable organizations to attack their opponents, while the candidates hold the PAC messages at arms length and purport to run entirely positive campaigns. Borrowing an apt phrase from one of Ron Paul's recent web videos directed at Newt Gingrich, the obfuscation of campaign contributions under PAC's and claims from the candidates to not be in communication with the PAC's, let alone have viewed the advertisements they've created, amounts to no less than "serial hypocrisy." 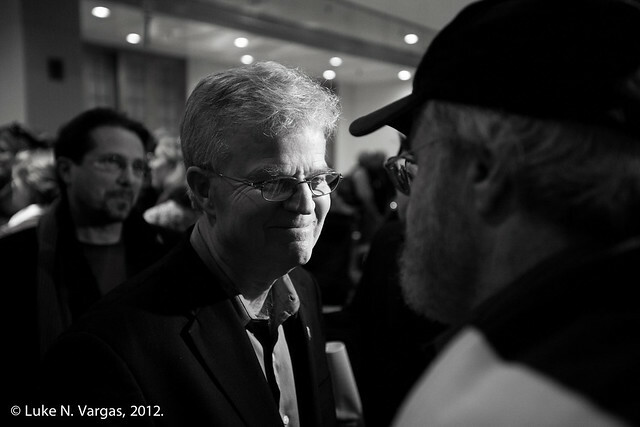 Since the Citizens United Supreme Court decision, campaign finance reform has become one of the most crucial topics in American electoral politics, and Buddy Roemer stands alone in admitting this. Considering the near blanket exclusion that he's been met with from the mainstream media, he may well be a martyr for the cause. Around the periphery of the Radisson Hotel lobby where Roemer spoke, I overheard many a passerby inquire who it was standing at the podium and speaking so passionately on a host of topics rarely mentioned in this election cycle. With each passing minute of Buddy's announcement, the size of the group around the candidate grew, and the calls of "Go, Buddy!" rang out with increasingly frequency. As the crowd began to disperse, with certain individuals returning to the Occupy the Primary rally across Elm Street, one woman emotionally explained to a friend: "I'm glad there are still people like him willing to run, and to stay in the fight." 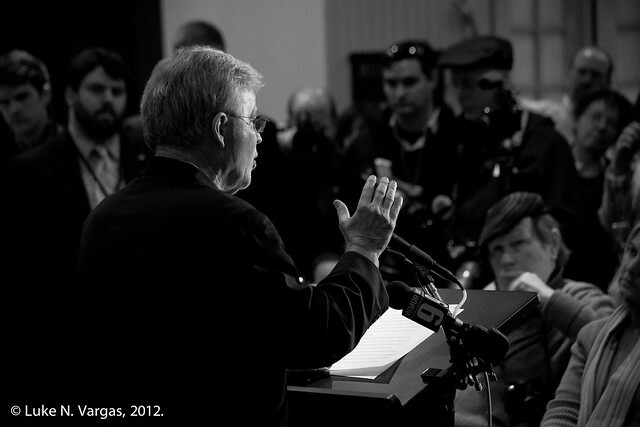 View the complete gallery from Roemer's announcement in a full-screen slide show here.